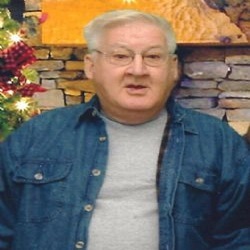 Gale Ray Henry, age 74, of Mena, Arkansas passed away Friday, April 19, 2019 in Mena, Arkansas. Mr. Henry was born October 10, 1944 in Mena, Arkansas to the late William “Bill” Henry and Olive Burgess Henry and was happily married for 53 years to Sally Henry. He retired after 36 years from U. S. Motors. For many years prior to working at U. S. Motors, he worked with his father, brothers and nephews running Henry’s Logging. Gale loved to work, even in his spare time. He was a friend to everyone he met and was a loving husband, father, grandfather, great grandfather, brother and friend. He will be dearly missed by all. Twenty great grandchildren, many nieces and nephews, and a host of friends. He was preceded in death by his parents William and Olive Henry, and brothers William and Wayne Henry. A Memorial Service will be Tuesday, April 23, 2019 at 2:00 p.m. at Beasley Wood Funeral Home with Minister Dana Kinsey officiating. To send flowers or a memorial gift to the family of Mr. Gale Ray Henry please visit our Sympathy Store. 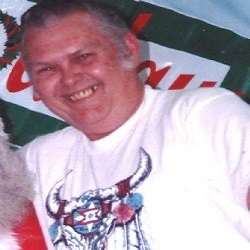 Anselmo Candelaria age 74 of Hatfield, Arkansas passed away Wednesday, April 17, 2019 in Hatfield. He was born on April 16, 1945 in Santa Fe, New Mexico to the late Redolfo Candelaria and the late Amelia Martinez. He worked as a janitor until retiring. Anselmo proudly served his country in the Army. He enjoyed hunting, fishing and gardening. Also, he liked to work on cars and listen to old country music. He loved his family with all his heart. He was a loving and kind father, grandfather, great-grandfather, brother, uncle and friend. He is survived by Sons: Frankie Armjo, Sr., Anselmo Candelaria, Jr., and David Phelps. Daughters: Glendora Orphy, Candy Schotic, Iva Candelaria, Terri Armjo, and Robbin Candelaria. Grandchildren: Chrystle Phelps, Dolly Candelaria, Jami Bell, Audrey Christmas, Ethan Jewell, Jacob Haddix, Meghan Armjo, Anselmo Candelaria, III, Ciara Candelaria, Aramis Candelaria, Erica Watts, Brittany Armjo, and Tiffany Armjo, Jhon Armjo, and Frank Armjo, Jr.
Great-Grandchildren: Cheyenne Phelps, Jennifer Phelps, Tyler Phelps, Allan Dollarhyde, Sophia Dollarhyde, Ayden Freeman, Tia, Autumn, Jeremiah, Anastasia, Christian, Maliki, Braylee and Jozoolee. All survivors are living in Mena, Arkansas. He was preceded in death by parents, wife, Iva Candelaria, son Larry Candelaria, daughter, Juaneta Kaye Candelaria, grandchildren Timmie, Katelyn and great-grandchildren Austin and Andrew. Mr. Candelaria was sent for cremation under the direction of the Beasley wood Funeral Home of Mena. To send flowers or a memorial gift to the family of Anselmo Candelaria please visit our Sympathy Store. 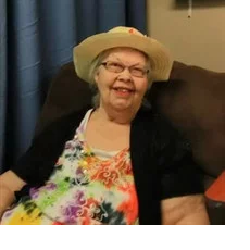 Dorothy June “Freelen” Jewell age 80 of Vandervoort, Arkansas went to be with our Lord on Wednesday, April 17, 2019 in Mena, Arkansas. Dorothy was born June 21, 1938 in Texas to the late Jim Freelen and Ethel Doss Freelen. She was united in marriage to Clarence Junior Jewell her husband of 62 years. Dorothy was a humble homemaker by the grace of God. She was a loving wife, mother, grandmother, great-grandmother, great-great-grandmother, sister and friend. She loved crocheting, playing bingo, cooking family meals and quilting. She was a faithful member of Vandervoort First Baptist Church, she loved singing and praising God and reading the Bible to her husband and spending time with her family and friends. Twenty-two grandchildren, 47 great-grandchildren, and 7 Great-great-grandchildren. She was preceded in death by her parents, Jim and Ethel Freelen, husband Clarence Jr. Jewell, daughter Kathye Martin, grandson Travis Barrett, granddaughter, Marsha Martin, and one sister, Helen and five brothers James, William, Newt, Tiny and Donald. Funeral service will be Monday, April 22, 2019 at 2:00 p.m. at Vandervoort First Baptist Church in Vandervoort with Brother Aaron M. Anglin officiating. Interment will follow in the Witherspoon Cemetery under the direction of the Beasley-Wood Funeral Home of Mena. Family and friends visitation will be Sunday, April 21, 2019 at 7:00 -8:00 p.m. at Beasley-Wood Funeral Home of Mena. Pallbearers will be Richard Martin, Jason Johnson, Jonathan Barrett, Brandon Martin, Kenneth Watkins, Joey Watkins, Ethan Jewell, and Jacob Jewell. To send flowers or a memorial gift to the family of Dorothy June Freelen Jewell please visit our Sympathy Store. 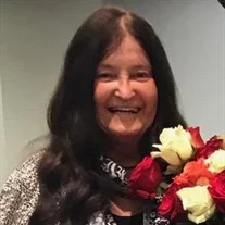 Verna May Snitker Stricklin age 81 of Mena, Arkansas passed away Tuesday, April 16, 2019 in Pencil Bluff, Arkansas. Verna was born on March 8, 1938 in Hatfield, Arkansas to the late Henry Miller and the late Iva Brewer Miller. She enjoyed gardening, taking walks and spending time with family and friends. Above all she loved her Lord and Savior and her family. Verna was an adoring mother, grandmother, great-grandmother, sister and friend to all who knew her. A host of nieces, nephews, cousins and friends. She was preceded in death by her parents, Henry and Iva Miller, her first husband W. Wayne Snitker of 33 years, husband William Stricklin, daughter and son-in-law, Shari and Doug Beck, brother Donald Wayne Miller, sister Wanda McDaniel, and a grandson Seth Warford. Funeral service will be Monday, April 22, 2019 at 10:00 a.m. at Hatfield First Baptist Church with Brother Scott O’Rear and Brother Keith Rose officiating. Interment will follow in the Six Mile Cemetery under the direction of the Beasley-Wood Funeral Home of Mena. Family and friends visitation will be Sunday, April 21, 2019 at 5:30-7:00 p.m. at Beasley-Wood Funeral Home of Mena. Pallbearers will be Kenny Miller, Jr., Jody Miller, Travis Miller, Richie Owens, Josh Owens and Jeremy Owens. To send flowers or a memorial gift to the family of Verna May Snitker Stricklin please visit our Sympathy Store. 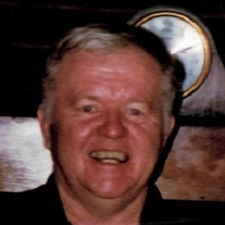 Vester O'Donnell Parks, age 76, of Mena, died Tuesday, April 16, 2019 at his home. He was born on Thursday, May 7, 1942 to Arlie O'Donnell and Verna Patten Parks in Mena, Arkansas. Vester was a good man and hard worker. He worked as a local policeman in the 1970's, and later went on to work for the Polk County Road Department. Vester also worked as the Campground Manager at Wolf Pen Gap. He relished the outdoors and liked to fish and deer hunt when he could, and also enjoyed gardening and canning. He was a member of the Elks Lodge. Vester was a loving husband, father, grandfather, brother, uncle and friend and will be missed by all who knew him. He is preceded in death by his parents; one son, Vester Parks II; and his step father, Dee Cunningham. Vester is survived by his loving wife of 5 years, Donna Parks of Mena; two sons, Mike Parks of Mena, and Richard Parks of Wilson, North Carolina; two daughters, Victoria Jones of Henderson, Tennessee, and Twana Parks of Medon, Tennessee; one stepson, Derek Miller; two brothers, Ernal Cunningham of Mena, and Jeff Cunningham of Mena; eight grandchildren; eleven great grandchildren; several nieces and nephews, and a host of other relatives and friends. 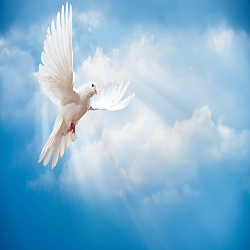 Graveside services will be held Friday, April 19, 2019 at 2:00 P.M. at the Old Dallas Cemetery with Brother Mark Lyle officiating. Visitation will be Thursday, April 18, 2019 from 6-8 P.M. at the Bowser Family Funeral Home Chapel in Mena. Pallbearers will be Farrell Cole, Jewell Watkins, Brent Shrader, Jim Bo Davis, Derek Miller, and Cameron Ramirez. Honorary Pallbearers are Dwight Goodner and Joe Bill Ward. 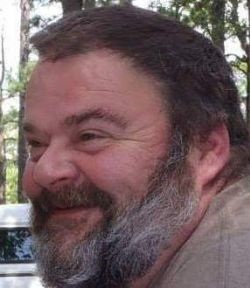 Thomas Christopher Powell age 44, of Mena, Arkansas passed away Friday, April 12, 2019 in Oklahoma. He was born on October 22, 1974 in Mena, Arkansas to the late Donald Powell and Patsy Borders Powell. Thomas was married to Julia Hooper and was an Oil Field worker by profession. He enjoyed camping, fishing, collecting and shooting guns. Thomas also loved the ocean, watching and listening to the waves. Most of all he enjoyed and treasured being with family and friends. Thomas was a loving and dedicated husband, and friend to all who knew him. He will be dearly missed by all. Many many nieces, nephews, cousins and friends. He was preceded in death by his parents, Don and Patsy Powell, and brother Don Powell, Jr.
Gann Cemetery in Potter under the direction of the Beasley Wood Funeral Home of Mena. Pallbearers will be Dalon Davis, Quentin Horn, Shelby Walker, Josh Hensley, and Shannon Caldwell. Honorary pallbearers will be Aaron Kimberlin, Wes Kimberlin, Chantry Blake, Shane Shreve, Justin Shreve, Aaron Gahr, and Zachary Gahr. To send flowers or a memorial gift to the family of Thomas Christopher Powell please visit our Sympathy Store. 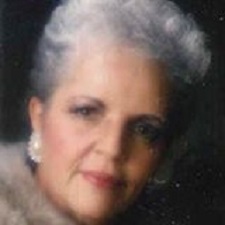 Ramona “Mona” Willis Stricklin age 68 of Hatfield, Arkansas was reunited in Heaven with her honey, Larry Stricklin, on Monday, April 15, 2019. Mona was born on May 14, 1950 in Talihina, Oklahoma to the late Elesten Willis and Lilliella Samuel Willis. She was married to the late Larry Stricklin for 28 years until his passing in 2016. Mona worked in several occupations during her life, business owner, bookkeeper, truck driver, and most recently bank teller. She enjoyed watching and going to basketball games with family and friends. Mona was an active member of the Hatfield First Baptist Church for many years and sang in the church choir. 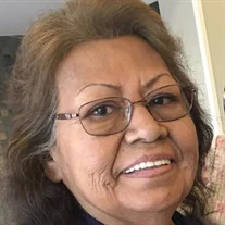 She was well known to cook the best fried potatoes, pinto beans and Indian Tacos. Most of all she loved God, and spending time with grandchildren and family. She was a devoted and loving mother, daughter, grandmother, sister, aunt, and friend to everyone that knew her. She will be dearly missed by all. Numerous nieces, nephews, cousins and friends. She was preceded in death by her father, Elesten Willis, husband Larry Stricklin, brother Norman Samuel, niece Amanda Willis, nephew Garreth Stricklin, and mother-in-law Wanda McDaniel. Funeral service will be Thursday, April 18, 2019 at 2:00 p.m. at Hatfield First Baptist Church with Brother Rick Bateman officiating. Interment will follow in the Six Mile Cemetery under the direction of the Beasley Wood Funeral Home of Mena. Family and friends visitation will be Wednesday, April 17, 2019 at 5:00-7:00 p.m. at Beasley Wood Funeral Home. Pallbearers will be David Willis, Beau Stricklin, Charles Strickland, Elvis Stricklin, Junior Willis, and Dewayne Tonihka. Honorary pallbearers will be Garry Stricklin, Vernon Willis, Glenn Willis, and Edgel Samuel. To send flowers or a memorial gift to the family of Ramona "Mona" Stricklin please visit our Sympathy Store. 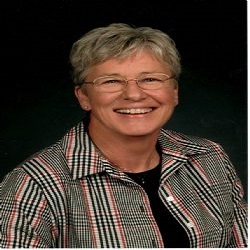 Ellen Rae Busch age 54 of Mena, passed away Sunday, April 14, 2019 in Mena, Arkansas. Ellen was born on January 29, 1965 in Mena, Arkansas to Billy Ray Rice and Rosellen Calvery Branch. She was married to Bryant Arville Busch and worked at Mena Regional Health System in the business office. Ellen enjoyed working with flowers and designing arrangements. Ellen attended Faith Missionary Baptist Church and was very involved and dedicated in serving her church family. She was a loving wife, mother, daughter, grandmother, sister, and friend to all who knew her. She will be dearly missed by all. Sister: Amanda Beck of Alder Springs, Arkansas. She was preceded in death by her grandfathers, Gene Calvery and James Wheat, grandmother, Sybil Wheat, mother-in-law, Virginia Busch, and step-mother, Barbara Rice. Funeral service will be Thursday, April 18, 2019 at 10:00 a.m. at Faith Missionary Baptist Church in Mena with Brother Tim Harper officiating. Interment will follow in the White Oak Cemetery under the direction of the Beasley Wood Funeral Home of Mena. Family and friends visitation will be Wednesday, April 17, 2019 at Beasley Wood from 6:00-8:00 p.m.
Pallbearers are A.J. Arceneaux, Braxton Arceneaux, Allen Henry, Eddie Kennedy, Matt Stockton, and Teil Henry. Honorary pallbearer is Eric Pistol Sherrill. To send flowers or a memorial gift to the family of Ellen Rae Busch please visit our Sympathy Store. 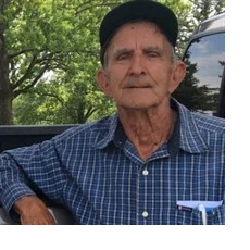 Ernest Wayne Brumfield, age 83 of Pine Ridge, Arkansas passed away peacefully, Saturday, April 6, 2019 at his home. He was born January 9, 1936 in Hillsboro, Ohio to the late Daniel W. Brumfield and Irene Gladys Bowen Brumfield. He was united in marriage to Virginia Brumfield for many wonderful years. Mr. Brumfield retired from the United States Air Force as a Master Sergeant working as a Data Processing Machinery Supervisor and serving in Vietnam. He was very patriotic, loved his country and was proud to have served in the military. After retirement, he loved watching television and playing cards. He was a loving husband, father, grandfather, great grandfather, brother, uncle and friend and will be dearly missed by all. Many nieces and nephews, and a host of friends. He was preceded in death by his parents Daniel W. and Irene Brumfield, 4 brothers and 3 sisters. Funeral service will be 10:00 a.m. Thursday, April 11, 2019 at Little Hope Baptist Church with Brother Andy Kennedy officiating. Interment will follow in the Pine Ridge Cemetery in Pine Ridge, Arkansas under the direction of the Beasley-Wood Funeral Home. Visitation will be Wednesday, April 10, 2019, 5:00 p.m. to 7:00 p.m. at Beasley Wood Funeral Home in Mena. See online obituary at www.beasleywoodfuneralhome.com. To send flowers or a memorial gift to the family of Mr. Ernest Wayne Brumfield please visit our Sympathy Store. 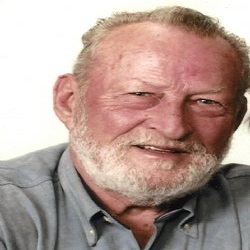 Edward “Earl” Ricks, 84 of Cove passed away Tuesday, April 2,2019 at his home. He is preceded in death by his parents, his wife of 51 years Alice Plunkett Ricks, and twin sister Muriel Ricks. Great Grandsons: Connor and Carson Nash of Mena, Arkansas. Graveside services will be Thursday, April 11, 2019, 10:00 a.m. at Pleasant Grove Cemetery in Cove with Brother Larry Davis officiating under the direction of the Beasley Wood Funeral Home of Mena. In lieu of flowers, the family requests donations in his honor be made to the Pleasant Grove Cemetery Fund. To send flowers or a memorial gift to the family of Edward "Earl" Ricks please visit our Sympathy Store. 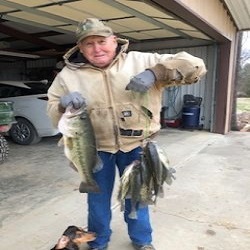 Lonnie Forest Easterling Sr., age 69, of Cherry Hill, Arkansas died Sunday, March 31, 2019 at his home. He was born on Saturday, April 23, 1949 to Forest and Vera Browning Easterling in Hazzard, Kentucky. Lonnie had strong Christian values and was an active member of the Cherry Hill Baptist Church. He moved to Cherry Hill in 2003 and was very happy there. Lonnie loved old cars and attending various car shows and was a member of the Ouachita Car Club. He worked at Numatics for many years and was a very skilled employee. Lonnie was a loving husband, father, grandfather, brother, uncle and a great friend and will be missed by all who knew him. He is preceded in death by his parents; and one son, John Easterling. Lonnie is survived by his loving wife of 51 years, Cecilia Easterling of Cherry Hill; one son and daughter in law, Lonnie Jr. and Holli Easterling of Shirley, Arkansas; one daughter, Holly Hall of Clarkson, Michigan; one brother, Richard Easterling of Dundee, Michigan; one sister, Debra Sniedner of Davisburg, Michigan; one brother and sister in law, Joe and Vicki Wilson of Wixom, Michigan; one grandson, Devon Hall of Michigan; and one nephew, Robert McKinstry of Union Lake, Michigan; and a host of other relatives and friends. A funeral service will be held on Thursday, April 4, 2019 at 2:00 p.m. at the Cherry Hill Baptist Church with Brother Grant Geiger officiating. Interment will follow at the Cherry Hill Cemetery. A visitation will take place before the service at 11:00 a.m. at the church. 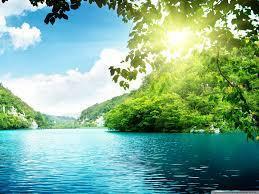 Funeral arrangements are entrusted to Bowser Family Funeral Home in Mena, Arkansas. Pallbearers will be Tom Bawman, Frank Nelson, Stan House, Matt Debnar, Mark Thompson, and J.R. Kelch. Honorary Pallbearers are Robert McKinstry and David Giles. Dale Spencer, age 82, of Mena, Arkansas passed away peacefully at his home on March 29, 2019. Dale was surrounded by his wife of 59 years Velda. Dale, also known as D.C., Daddy, Grandpa or Great Grandpa depending on how well you knew him was an avid outdoorsman that valued hard work and efficiency in everything he did. If you ever had the pleasure to meet him you would not soon forget it. He had a hardened exterior with an extensive vocabulary but also offered a kind soul and warm smile to anyone in need. Dale Clinton Spencer began his career at the age of 23 after completing the AHD Program in 1961. He attended Iola Junior College in Iola, Kansas and graduated from Kansas State College in Manhattan, Kansas with a Bachelors Degree in Civil Engineering. He received his early education and High School diploma in Welda, Kansas where he was born and raised. 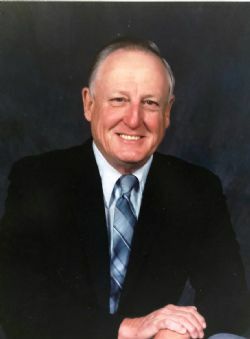 He came to the Highway Department in 1960 after extensive work for the Missouri Pacific Railroad and the Missouri Highway Commission. In his Career as an engineer, he left a legendary amount of success. While the list of accomplishments in his professional career are long and varied, some of his most proud accomplishments include; being the Resident Engineer for the almost 4 year project “Talimena Scenic Drive” – Previously known as The Ouachita Skyline Drive, and bringing Aubrey Tapley Park into existence. He was also responsible for an unlimited number of freeways, highways and byways; bridges, railroad lines and waterway draining systems. Dale is preceded in death by his parents Elvin and Alma Spencer, brother Cliff Spencer, sister Ann Harrison, and daughter Jacqueline Spencer. Dale is survived in death by his wife, Velda Spencer; son Mike Spencer and wife Roberta; daughter Tyra Alley and husband Richard; 4 grandchildren, 7 great grandchildren; his brothers Jim and Wayne Spencer; many nieces and nephews and a host of other relatives and friends. An acknowledgement from Andy Brown: "D.C. Spencer was a great friend of mine. I met D.C. when Mena was attempting to build a sports park on Highway 71 North. D.C. was able to take a piece of property, apply his engineering touch and put it on paper. He did this for pennies on the dollar; working by the hour, saving our city tens of thousands of dollars. He oversaw the development of what is now Aubrey Tapley Park. Some people had a dream and D.C. was one of those people that was instrumental in seeing that these dreams were accomplished. This town owes him a lot. His legacy will live on forever. I will personally miss him." In lieu of flowers the family is requesting memorials be made in Dale's honor to a charitable endeavor you feel best represents your connection with Dale and his passions. To send flowers or a memorial gift to the family of Dale Spencer please visit our Sympathy Store. 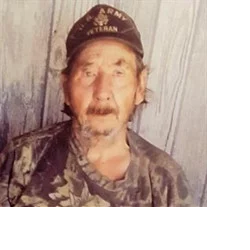 Jerry David White age 71 of Mena, Arkansas passed away Sunday, March 31, 2019 at his home. Jerry was born in Mena, Arkansas on November 12, 1947 to the late Roy R. White and Edith Schoolfield White. He would have been married to Joyce E. Waller for 50 years on April 4, 2019. Jerry worked as a Propane driver and served his country in the Air National Guard. He also worked as a mail carrier for the Postal Service. Jerry loved to be outdoors hunting and fishing with family and friends. He enjoyed raising Quail and he loved his Australian Shepherd dog, “ Roscoe” . He loved being around and visiting with his family and friends. Jerry was a loving and kind husband, son, brother, and brother- in-law and friend to all who knew him. He was preceded in death by his father, Roy R. White, and a sister, Janet Sue Harris. Funeral service will be Tuesday, April 02, 2019 at 2:00 p.m. at Beasley Wood Chapel with Brother Richard Myhand officiating. Interment will follow in the White Oak Cemetery under the direction of the Beasley Wood Funeral Home of Mena. Visitation will be Tuesday April 2, 2019 at 1:00 p.m. prior to service at 2:00 p.m.
Pallbearers will be Jason Harris, Chad Golden, Brian White, Dustin White, Junior White and Jared White. To send flowers or a memorial gift to the family of Jerry David White please visit our Sympathy Store. 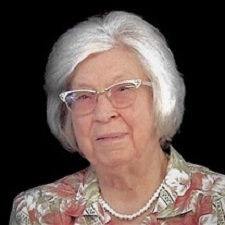 Vera Virginia Allen, age 94, of Mena, Arkansas passed away Friday, March 29, 2019 in Mena, Arkansas. She was born in Kingman, Arizona to the late Ivy Crabtree and the late Victoria Crabtree. Vera loved her cats who she called her babies. She was an LPN and after retirement enjoyed volunteering at the Forest Service Information Center. Vera was a member of Cornerstone Pentecostal Church and felt a deep dedication to her church family. She was a loving mother, grandmother, great grandmother, sister and friend to all who knew her. Numerous grandchildren, great grandchildren, nieces and nephews. She was preceded in death by her parents Ivy and Victoria Crabtree, husband William Bruce Allen, son Cecil Thomas Allen, and sisters Lillian E. Stewart and Minnie M. Sigler. Family and friends visitation will be Sunday, March 31, 2019 at Beasley Wood Funeral Home from 3:00 – 5:00 p.m. Arrangements are pending for graveside services. To send flowers or a memorial gift to the family of Vera Virginia Allen please visit our Sympathy Store. 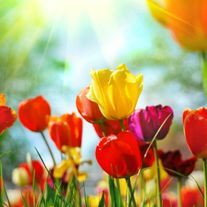 Dorothy Ann Ryan age 83, of Mena passed away Tuesday, March 19, 2019 in Mena, Arkansas. Dorothy was born on April 20, 1935 in Mena, Arkansas to the late Thomas James Ryan and the late Mary Susannah DeRousse Ryan. Dorothy dearly loved her family. She will be dearly missed. She is survived by sisters: Helen Ryan of Mena, Arkansas and Eileen Ryan of Mena, Arkansas. She was preceded in death by her parents, Thomas and Mary Ryan, brothers, William “Bill” Francis Ryan, Thomas James Ryan, Maurice Patrick Ryan, and Louis Augustine Ryan, and a sister, Mary Catherine Gaundin. Mass of Christian Burial will be Saturday, March 30, 2019, 10:00 a.m. at St. Agnes Catholic Church. Interment will be in the Mt. Calvary Cemetery under the direction of the Beasley Wood Funeral Home of Mena. Charles Russell Bates, age 75, of Ink, Arkansas died Wednesday, March 27, 2019 at the National Park Medical Center in Hot Springs. He was born on Monday, June 28, 1943 to James Russell and Marie Whisenhunt in Ink, Arkansas. 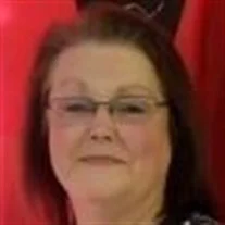 Rhonda Ann Pollard, age 63, of Smithville, Oklahoma passed away Monday, March 25, 2019 in Smithville, Oklahoma. Rhonda was born on March 2, 1956 in Oklahoma City, Oklahoma to Amos Dixon and LaVonne Ibbitson Dixon. She worked for Tyson as a factory worker. One of her favorites things to do was driving around the backroads on Sunday mornings and listening to church service on the radio. She was a member of the Assembly of God Church in Smithville. Rhonda enjoyed working in her yard and could grow anything. She was an avid collector of birds, angels, and Campbell Soup memorabilia. Most of all she loved and enjoyed spending time with her grandchildren and huge family gatherings. She was a loving wife, mother, grandmother, great-grandmother, sister and friend to all who knew her. Brother-in-law: Jerry Robb of Hatton, Arkansas. She was preceded in death by her parents and sister, Tonya Robb. Graveside services will be Friday, March 29, 2019 at 2:00 p.m. at Westview Cemetery under the direction of the Beasley Wood Funeral Home of Mena. Pallbearers will be Luke Golding, Devin Pollard, Zack Eubanks, Henry Dixon, Jerry Robb, and John Golding. To send flowers or a memorial gift to the family of Rhonda Ann Pollard please visit our Sympathy Store. 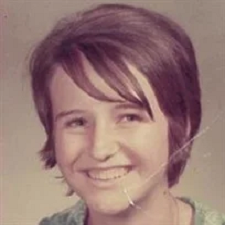 Jane Elizabeth Dunagan, age 63, of Cove, Arkansas passed away Monday, March 25, 2019 in Cove surrounded by family. Jane was born on October 30, 1955 in Altus, Oklahoma to the late Gerald Land and Mary Boyd. She was happily married to Jerry Dunagan for many years. One of the highlights of her life was playing and loving on her grandchildren. She enjoyed spending time with her family and going to yard sales. Jane enjoyed making friends and she never met a stranger. Jane worked in the Hatfield and Mena Public Schools in the cafeteria, and was loved by co-workers and students. She enjoyed visiting with students while eating their lunches. She was a loving wife, mother, grandmother, great-grandmother, sister and friend to all who knew her. Host of aunts, uncles, nieces, nephews, and friends. She was preceded in death by her father, Gerald Land. Memorial service will be Friday, March 29, 2019 at 10:00 a.m. at Beasley Wood Funeral Home of Mena with Brother Todd Webb officiating under the direction of the Beasley Wood Funeral Home of Mena. 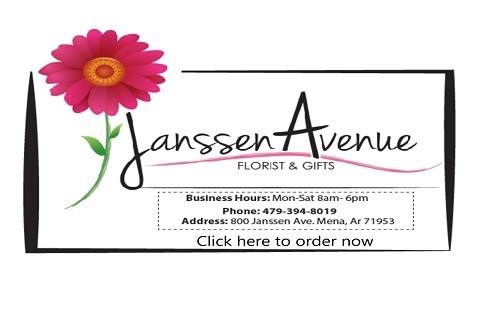 To send flowers or a memorial gift to the family of Jane Elizabeth Dunagan please visit our Sympathy Store. 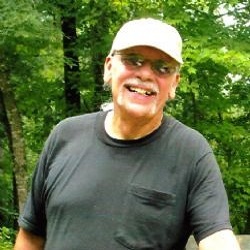 Milo Raburn Chick, Jr. age 65 of Mena, Arkansas passed away Saturday, March 23, 2019 in Hot Springs, Arkansas. Milo was born on March 5, 1954 in Gallup, New Mexico to the late Milo Rayburn, Sr. and the late Doris Marie Tarry Chick. He was happily married to Bonnie Salesky Chick. 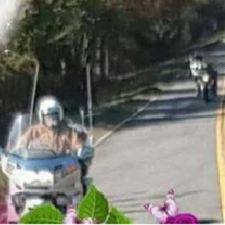 He was a member of the Gold Wings Road Riders Association, he loved riding his motorcycle. Milo enjoyed camping and being outdoors with family and friends. He was a loving and devoted husband, father, grandfather, great-grandfather, great-great-grandfather brother and friend to all. All of his friends at CCF Church. 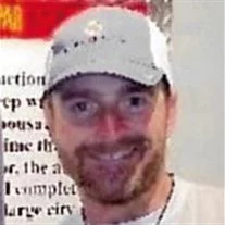 He was preceded in death by his parents, Mother-in-law Dorothy Marie Salesky, father-in-law, Robert Lee Salesky, and a brother-in-law, Sean Cole. Mr. Chick was sent for cremation under the direction of the Beasley Wood Funeral Home of Mena. To send flowers or a memorial gift to the family of Milo Raburn Chick Jr. please visit our Sympathy Store. 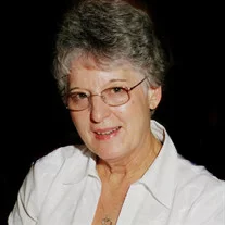 Lynda Sue Wright, 79, of Hot Springs Village, Arkansas passed away quietly on March 20, 2019. She was born February 8, 1940 in Okmulgee, Oklahoma to the late William and Thelma Edith (Rickard) McClemore. Lynda retired after caring for patients as a registered nurse for over fifty years. During that time, she helped deliver hundreds of babies in labor and delivery, was a medical/surgical nurse, and was director of nursing in Mena, Arkansas. Lynda loved spending time with her grandchildren and was their biggest fan at all their sporting activities. She was a huge Dallas Cowboy and Dallas Maverick fan. Lynda enjoyed crocheting and made beautiful afghans for her family. Spending time on Lake Ouachita with her family was a favorite pastime and hold memories that family will cherish forever. Lynda enjoyed reading her Kindle and watching television. She was a loving, dedicated wife, mother, and grandmother who always put her family first. Preceding Lynda in death are her husband of fifty-two years, Billy Leroy Wright; parents; and grandchildren: Renea Wright and Hope Christian Wright. She leaves to cherish her memory her children: son, Rickard “Rick” Wright and wife Mitzi of Helena, Arkansas, daughter, Terri Schuller and husband Mike of Mena, Arkansas, and son, Jeff Wright and wife Cyrie of Hot Springs Village, Arkansas; eight grandchildren: Greg Davis, Nate Davis, Ryan Davis, Josh Wright, LeAnn Wright, David Wright, Jacob Wright, and Kasie Wright; twenty-two great-grandchildren; sister, Nancy Fancher and husband Leon of South Carolina; three brothers: Bob Merideth and wife Carla of Oklahoma City, Oklahoma, Buz McClemore and wife Gail of Guiman, Oklahoma, and Mike McClemore and wife Janet of Oklahoma City, Oklahoma; and a host of family and friends who love Lynda and will miss her always. 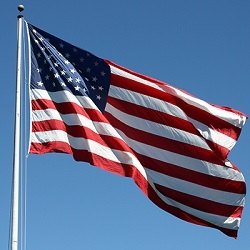 Graveside service will be held at Pinecrest Memorial Cemetery in Mena, Arkansas at 11:00 AM, Wednesday, March 27. Services entrusted to Smith-Benton Funeral Home. Online guestbook: www.SmithFamilyCares.com.